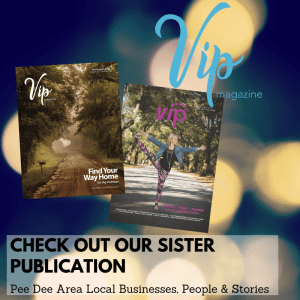 The Savvy Mag of Florence, SC is a direct-mail, monthly, high-quality magazine dedicated to helping local businesses acquire new customers and retain current customers through money-saving local deals. 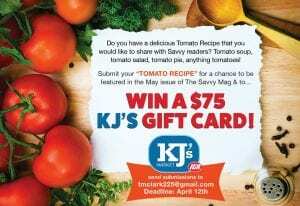 In addition to the multitude of full-color ads that never fail to get noticed, each issue features local businesses and people along with a calendar of events and seasonal recipes. The Savvy Mag has been a valued, well-known reference for Florence residents for many years! We’re dedicated to helping local businesses succeed! We are proud to say that The Savvy Mag is locally owned and operated. Backed by customer service, The Savvy Mag is committed to building long-term relationships with local businesses. Print Each month, The Savvy Mag is mailed to over 25,000 households and businesses in the Florence area with an additional 1,200 copies distributed to our advertisers at mail time. Digital The Savvy Mag also comes out monthly in the form of a digital publication, which increases our viewership each month. Our advertisements are also shared on our Facebook page each month for additional exposure and reach. In a tech-savvy world, print advertising still has a significant impact due to reader memorability, tangibility, and extended lifespan. Today, print is more unique – a way to cut through the clutter, and our content draws people in. The Savvy Mag includes page after page of beautiful full-color ads from local businesses. Advertisements are also shared on our Facebook page each month for additional exposure and reach. The Savvy Mag is direct-mailed to a targeted demographic of households with a discretionary income to spend with your business. We have created multiple advertising opportunities to fit the needs of any size and type of business. Our talented and creative team can work with you to create an advertising option designed to meet your goals, so you can track your results. However, time is of the essence and the print industry is very deadline-focused. Reach out to us today for a full media kit to and to see what we can do for you! We’re always striving to be better and would love to hear from our readers! Send us an email or give us a call at 843-618-0895.